We all know that life in general is a case of “blink and you miss it“. Particularly so, when it involves your own children! Time passes us by so very quickly and before we know it, they are no longer babies. No longer toddlers. About to start school…and so on and so forth. Then there are times we look through our photos and realise we as the adults in the family are hardly represented in any of the photos we happened to capture along the way (what memories are we leaving for our children?). Which brings me to the reason I adore my photography…simple memories. I have this innate ability to freeze time. 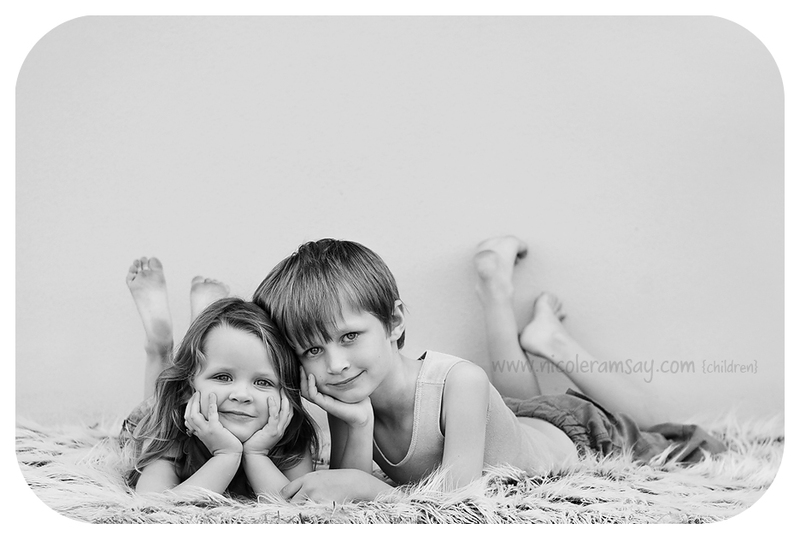 I am fortunate to be able to capture my own children, in all their glory, just as they are, as often as I like. I am truly blessed to be able to do this. Whether I use my ‘big’ camera or my small point and shoot, I do my very best to try to capture something every once in while. But what about me, and my photos? Again, I’m so very fortunate to have such wonderful friends (who also happen to be photographers) that I can call on to capture some memories of me and my family. As it happens I’m off on a family holiday and will be getting my own family portraits in November – what to wear? what to wear? (I’m sure I’ll love being on the other side of the camera….eek!). Anyway, I digress, I’ve been thinking about the fortunate position I find myself in and about those that are not. I thought this would be the perfect opportunity to ‘pay it forward’. I wanted to create some lifelong memories for someone special and in doing so decided that I didn’t just want people to win a ‘few free prints’. 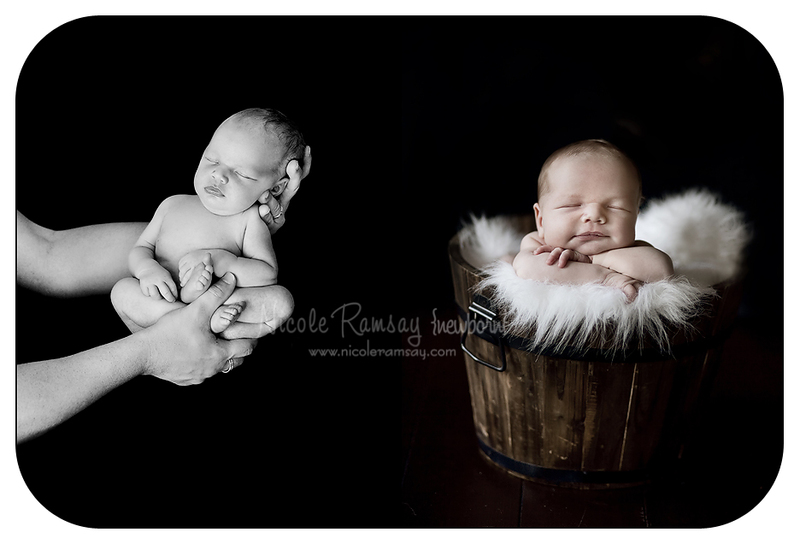 I wanted to properly give someone the chance to capture their newborn, baby or child/ren and create some life long memories. 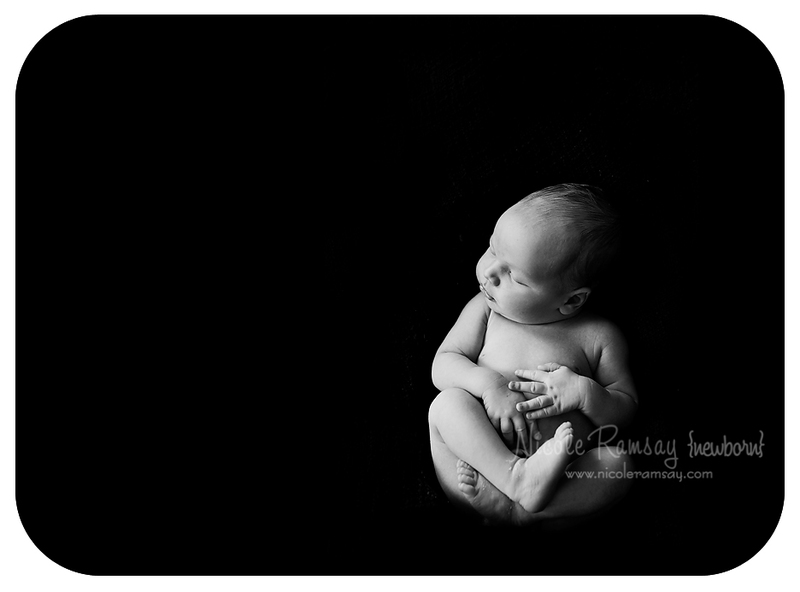 So, I’d like to announce that I am running an amazing competition – the chance to Win a Complete Portraiture Experience! 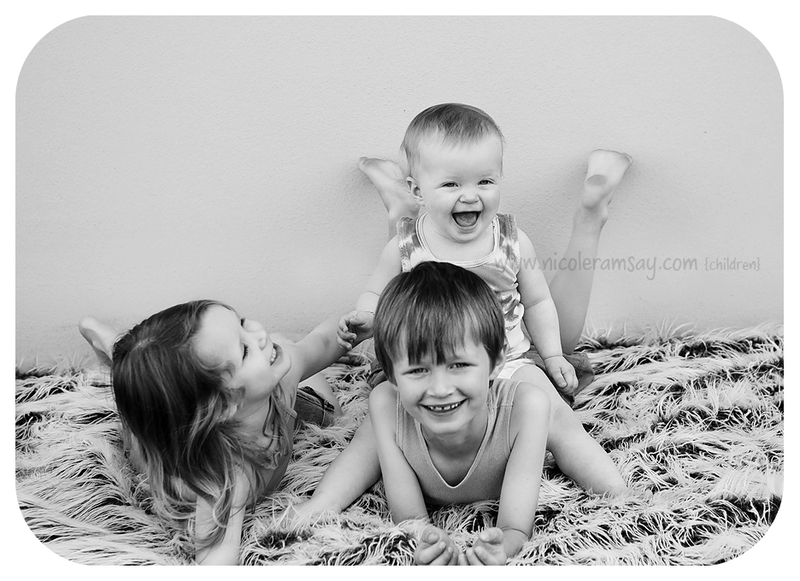 A portrait session for up to 4 members of a Family. 20 individually processed images on CD presented in a beautiful leather CD case and box. Two custom 11×14″ enlargements matted within 16×20″ white mats, ready for framing. A beautifully presented handmade leather album containing the 20 5×7″ images from your session. All entries will automatically be eligible to receive 15% off of their session fee and Collection of choice, now or in the future (that is of course if you chose to book a session). So, even if you don’t win, you can still have a photographic session discounted by 15% – just because you entered. - Read and familiarise yourself with the Terms and Conditions for this competition. - In the subject of the email, type “Competition Entry”. - Provide your full name; your contact telephone number; and the name/s and age/s of your child or children and your location. - Once entries have closed, each photograph will be displayed on my blog (watermarked with an entry number). The competition will be run by public vote, so you will need to spread the news of the competition far and wide to your family and friends, so that they know to come and vote and give you a better chance to win! Entries are open as of this evening (1st of September 2010), and close at 11:59pm on 8th of September, 2010. Voting will commence on the 14th of September 2010 and will cease at 11:59pm on 21st of September, 2010. The winner will be announced by Friday, 24th of September, 2010. - Winners will be determined by public vote (an online poll). 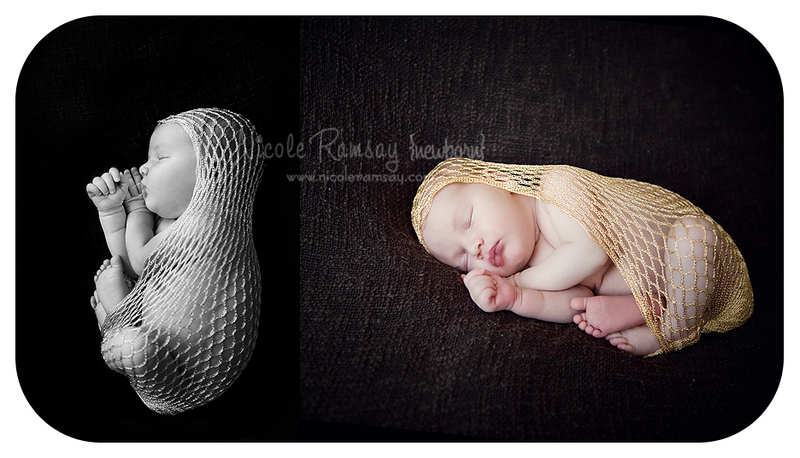 The winner will not be chosen by Nicole Ramsay Photography. - By entering the competition and providing an image for this purpose, you are giving permission for this image to be used by Nicole Ramsay for advertising and promotional purposes. All valid entries will be made public on the photography blog for the competition. - This competition is only available for residents of Brisbane or the surrounding areas. However, should you reside interstate or do not live in the metropolitan or surrounding areas of Brisbane, but are willing to travel to Brisbane for the photographic session or alternatively meet the travel and accommodation expenses of Nicole Ramsay Photography in traveling to your destination (within Australia), you will be eligible to enter. - The prize is not redeemable for cash, nor is it transferable to any other session or person. - The prize is not valid for Maternity or Wedding Photography. 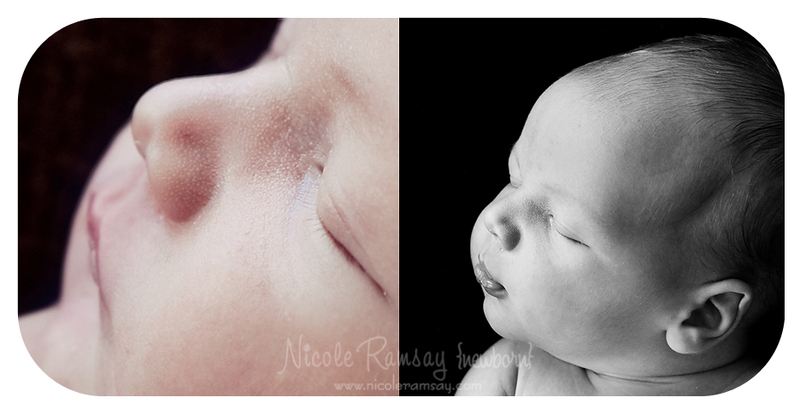 - This competition is not valid for clients of Nicole Ramsay Photography who already have a current booking. - Entries are limited to one image per family. - The photographic session must take place before 31 March, 2011. - The winners of the Photographic Session agree to any images resulting from the photographic session to be used by Nicole RamsayPhotography for promotion and advertising purposes. - The winners will also adhere to conditions as outlined in the Portrait Agreement, as per any ‘normal’ session held. Awwhhh I just can’t get enough of them. 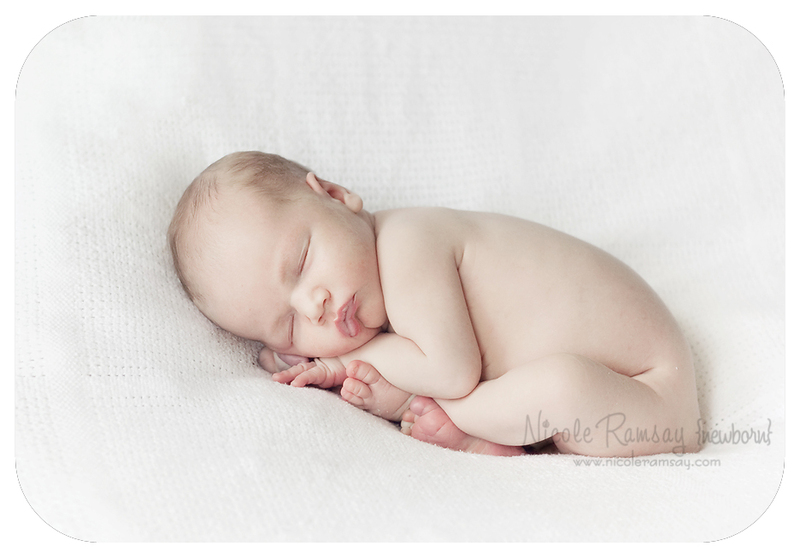 Newborns are the sweetest little souls. So new. So fresh. So sweet. I’d hope to think that I’m not alone in the predicament I find myself in on a daily basis. It’s not life critical by any stretch of the imagination (although my husband would probably beg to differ) but some days, as evident by the screams and cries, you would think that might be the case. 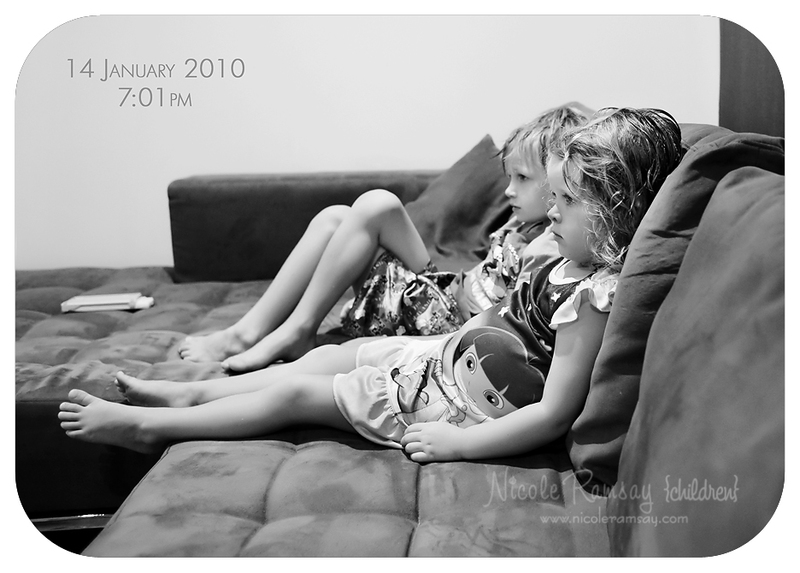 If you haven’t guessed already, it’s the dreaded TV and the battles that ensue constantly between my two over what they can watch. Byron wants to watch sport, or National Geographic, or ‘Junk Yard Wars’ or some other show not geared towards 6 years olds. Lily on the other hand wants to watch Dora, Playhouse Disney Channel or something remotely directed at a 3 year olds’ intelligence (and I don’t blame her). She likes kid TV and Byron doesn’t. If I never have to hear the words, “Byron! Turn it off the sport and put on a kids’ channel!” again, I’d be a happy woman. We have however for the most part found a happy medium in Scooby Doo (Thank God!). …and thank God for 7:01pm – BED TIME!